As the school year materializes, parents and teachers often feel the need to examine the role that ADHD medication might play in helping certain students. Such a decision involves taking a great deal of factors into consideration. Sometimes, other treatment interventions have been attempted, utilizing a range of preparations; from over-the-counter, to homeopathic, to the numerous pharmaceutical preparations that are available. At such a juncture, discussions involve the parents’ concern about problems with focus, anxiety, and/or attention that may lead (or have led) to behavioral disturbances and/or poor performance. “I heard about Intuniv,” one Mom declared, “and this woman in my daughter’s class has a child who did great after she started that medication. And, it’s not supposed to be a stimulant.” While the statement was certainly only offered as a word of support, such a proclamation is meaningless at best, and misleading at worst. Medical intervention should be more like a Ferris wheel, where results are delivered one step-at-a-time, rather than a merry-go-round, with random stops and starts. Given the large number of patients who are under the care of pediatricians, child psychiatrists and neurologists, plus the myriad of treatment options, it is difficult to believe that there are any standard dosage, frequency, timing, or alteration decisions that fit all children. It takes a patient family and an available, experienced professional to fine-tune that protocol. The process starts with a thorough medical examination and interview with the family. Occasionally, educators and administrators are involved. Basic laboratory testing should include a blood count and evidence that all nutritional goals, such as cholesterol, sugar and vitamin levels, are being met. All vital signs should be tested and recorded. Too often, an ADHD diagnosis is offered in children who truly do not meet criteria, or those suffering from other developmental conditions. 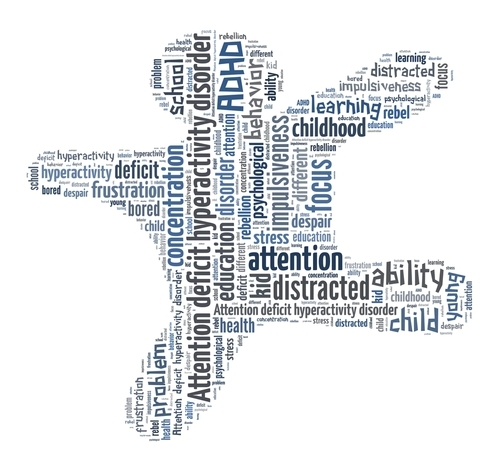 Medication for (what professionals call) ADHD is no panacea. Pharmacological intervention is a process. Unusual symptoms may arise, and any side effects need to be reported to the doctor. As the child grows and changes, so should the parents expect that re-evaluating treatment is often necessary. Then, there are the known side effects to consider, such as blood pressure, sleep, appetite and growth. It’s not as important which medication you may need to start your child on, as it becomes which medication(s), at what time(s), and on what day(s), are the best answers producing results for your child at this particular point in time. Once families decide that trying medication to address problems in school, after school, or both, there is new hope for their child’s progress. Some times, it takes a medical village. This entry was posted on Sunday, September 1st, 2013 at 5:55 am	and is filed under >ALL<, AD/HD, Asperger's Syndrome, Patient experiences. You can follow any responses to this entry through the RSS 2.0 feed. You can leave a response, or trackback from your own site. ... uses pills or liquid mixtures (solutions) containing only a little of an active ingredient (usually a plant or mineral) for treatment of disease.